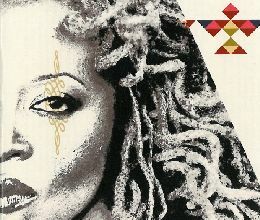 Cassandra Wilson’s ‘Silver Pony’ is an album mixing live and studio performances and released on November 9, 2010 by Blue Note. Recorded In 2010 At At Piety Street Recording Studio In New Orleans, La (4 – 6 – 7 – 8 – 10 – 11) And In Europe (Granada, Seville And Warsaw (1 – 2 – 3 – 5 – 9). Released On November 9, 2010 By Blue Not.